the plate holder and than glued the craft paper on and cut out the hole. Craft paper and deco's available at your local craft stores. in the following sizes. 5 3/4 inch plates to 12 inch diameter plates. 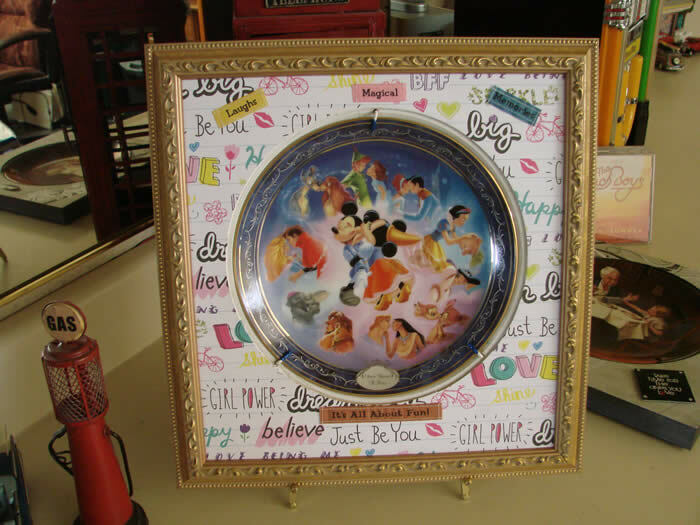 "Housing for mounting collector plates" and creating collector plate frames. Any size in 1/4 variance from 6 inches to 12 inches in diameter. 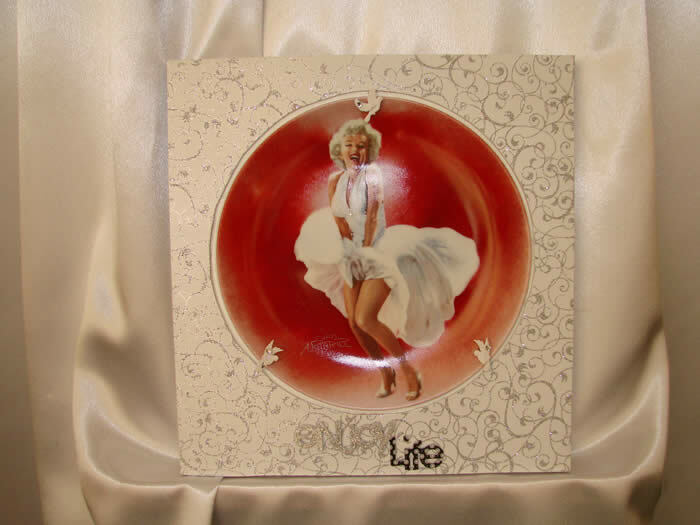 include a blank plate w/gold trim with 8 1/4 inch housings add $5.00. We painted the housing white, than sprayed adhesive protecting the center from overspray. Attached the craft paper we purchased at our local arts and crafts store. Cut off excess paper and than found some great deco's also at our local arts and crafts store. Doves all around and a name tag we love. Simple and one of a kind. Install hardware. 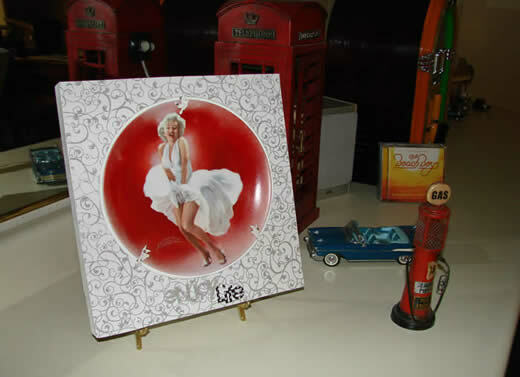 Our favorite model Marilyn Monroe. 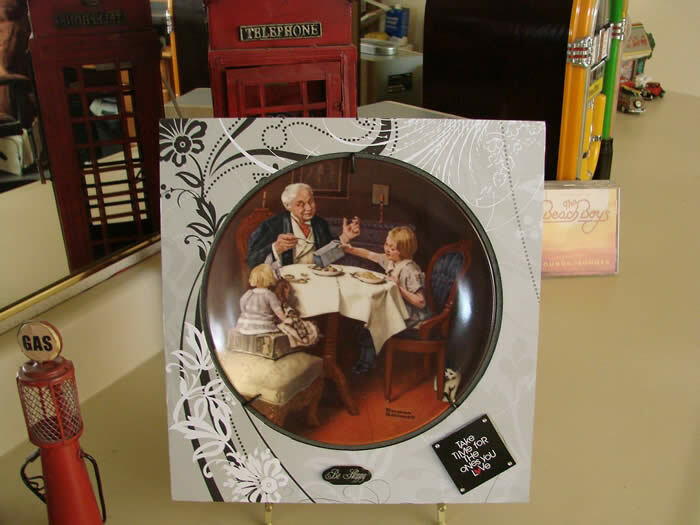 Collector plates have been around for centuries. 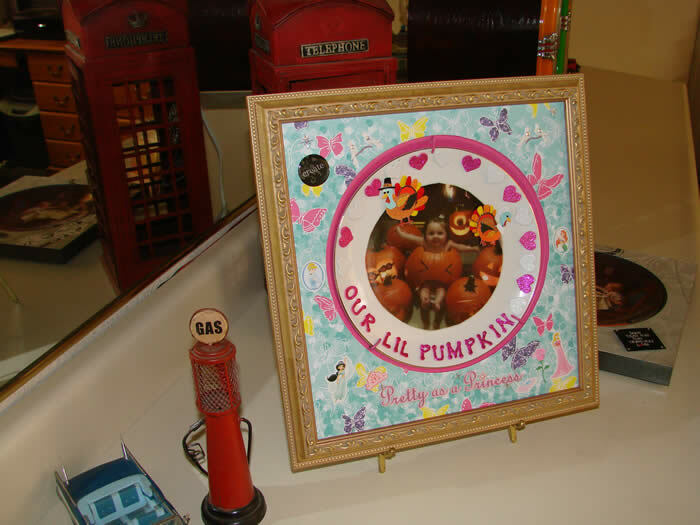 Now you can create your very own frame. We painted the housing all sides and the countoured area. Sprayed adhesive and glued on the craft paper. Cut out the unwanted paper and our frame is done. The plate was blank. We prined the picture on clear printer paper (self stick) cut out the picture 6" dia. and stuck it to the plate. Sprayed the border with crackle glued the stars around her. Installed hardware. Our lil princess one of a kind. Talk about sleeping beauty. Elaina born July 1, 2013 is our special model. We painted the housing bronze. Than Sprayed our glue and pasted the craft paper. Cut off excess and put on some decal's, installed the hardware. This sits on a small gold tripod and is now one of a kind. Enjoying time with his granddaughter and her baby. Same as the above frames execpt we added a simple gold frame, painted the housing pink and the hardware pink. Displayed on a tri-pod. 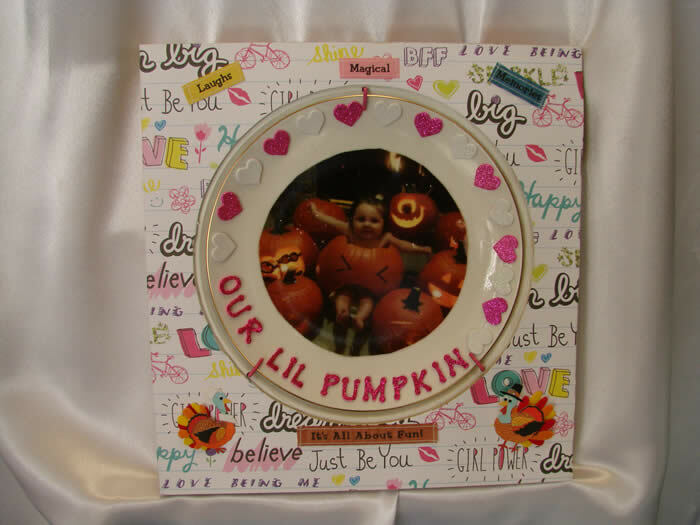 Paint, craftpaper, glue deco's all make this so special and one of a kind. Having fun for the holidays is what makes holidays special. We painted the housing white before sticking our craft paper on. Cut out the excess install hardware and attach our frame. 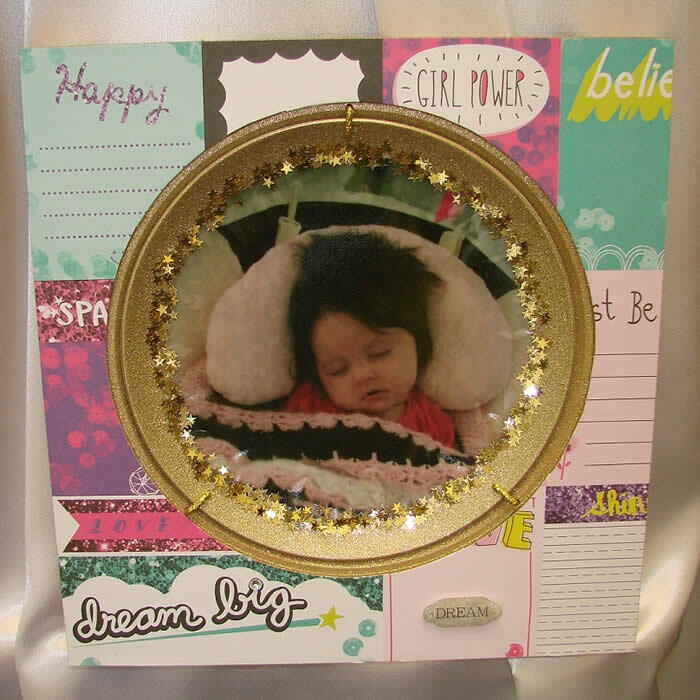 Simple deco's added to the craft paper add your touch.